The New Year is finally here! 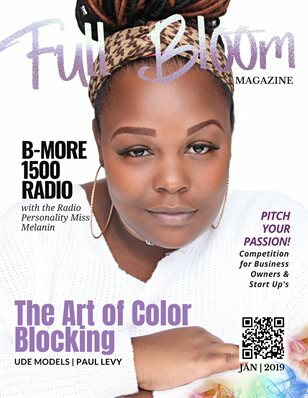 After a successful 2018 campaign, this month's edition of Full Bloom comes with the intent to rise to the next level as an elite publication of visual arts, fashion, entertainment and substance. Our mission is still though. To inspire ans place creative entrepreneurs in the forefront as viable brands and business owners with a distinguished luster to shine.